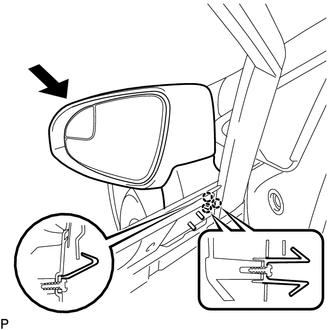 (a) Engage the 3 claws to install the outer rear view mirror assembly as shown in the illustration. (b) Install the 3 nuts. (d) Install the hole plug.